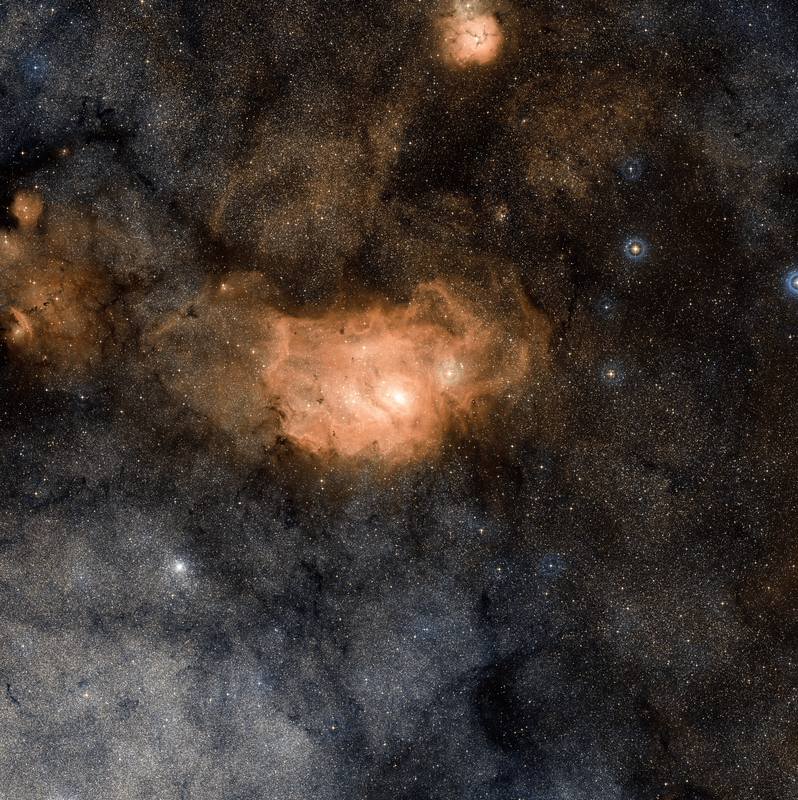 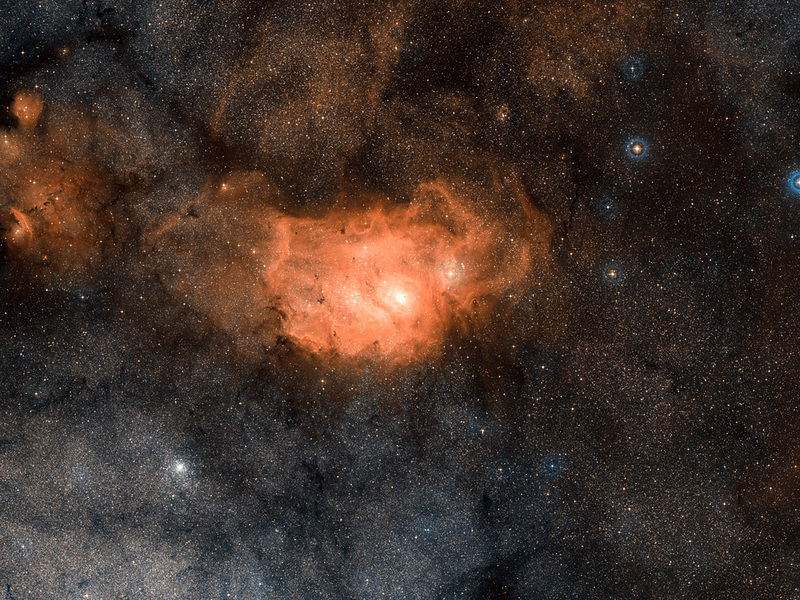 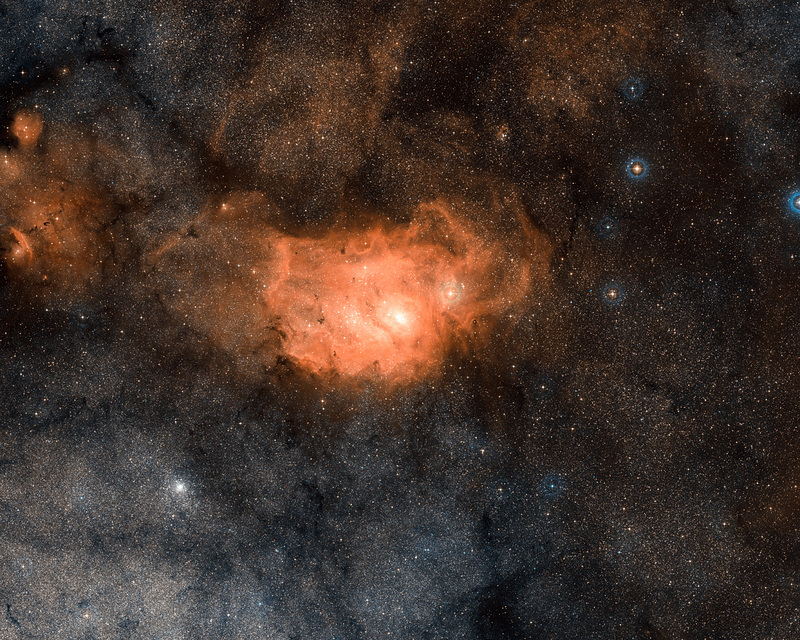 This image from the Digitized Sky Survey shows the area around the Lagoon Nebula, otherwise known as Messier 8. 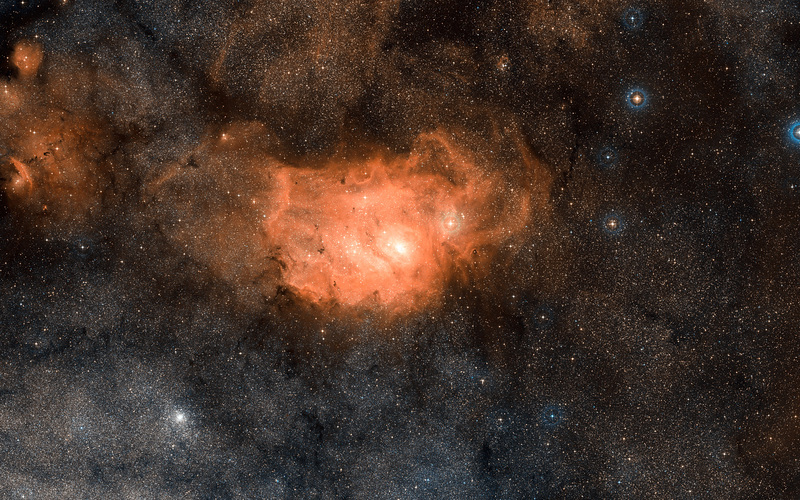 This nebula is filled with intense winds from hot stars, churning funnels of gas, and energetic star formation, all embedded within an intricate haze of gas and pitch-dark dust. Position (Dec): -24° 22' 46.01"